More rugs! This time we have some picture records. Used Kyta1702's "African rug 1" mesh. You can find those here. The description for these in game is up-to-date. 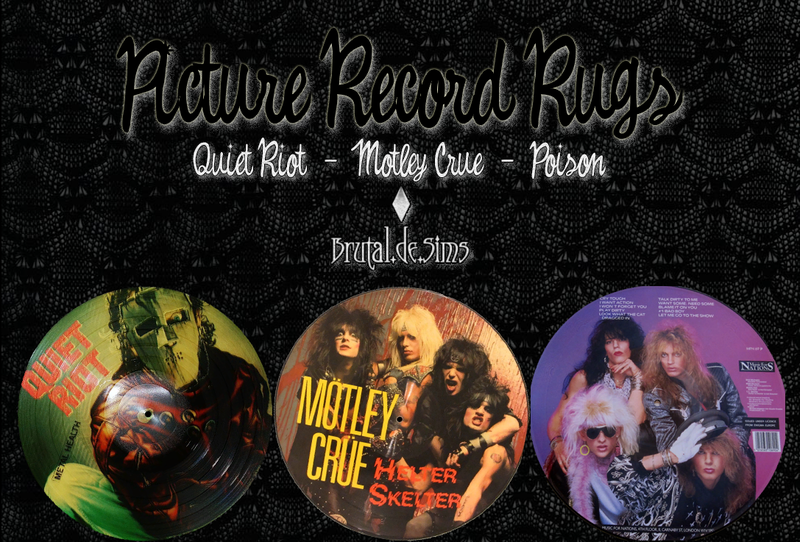 Three versions; Quiet Riot, Motley Crue & Poison.